Este artículo recoge la información para enviar a Women´s Coalition, tu caso de madre acusada de SAP. Human Rights Violations Claim Submitted Today to UN Commission on the Status of Women by The Women’s Coalition! Thanks to Everybody Who Submitted Forms and Pictures! 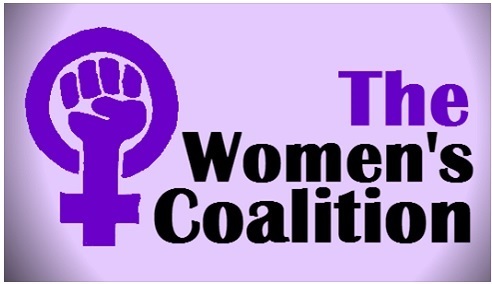 “On behalf of thousands of women, The Women’s Coalition, along with its sister organization, Safe Kids International, hereby submit this complaint detailing an international pattern of human rights violations being committed against women resulting in the loss of their children and/or inability to protect them from abusive fathers. We are requesting the UN Commission on the Status of Women, UN Women and UN Secretary General Ban Ki-moon officially recognize the pervasive pattern of injustice and discriminatory practices detailed herein and appoint a committee to investigate, formulate policy, and develop strategies to end this prevalent discrimination against, and severe oppression of, women. Now that women in developed countries are financially independent and can separate from and divorce men (and not be relegated to the streets or dead), they are, for the first time in written history, in the vulnerable position of losing their children to a man who decides he wants them—for whatever reason. Unbeknownst to most women, the 1970’s women’s liberation movement did not liberate women completely. Men can, and too often do, use “their” children to maintain control over “their” women who have left them or have not lived up to their standards of a wife or partner. Women, who believe their rights and equality have already been fought for and won decades ago, are shocked, when, one by one, they are discredited, degraded, disempowered, and emotionally and financially devastated in the process of being stripped of their precious children. There is a systematic and methodical pattern being implemented worldwide which accomplishes this theft of children from perfectly good mothers: poor investigations/evaluations by law enforcement, social services and/or family court professionals; biased opinions and recommendations given by court-appointed attorneys and psychologists; disregard or concealment of evidence the father is unfit, abusive or out for revenge or financial motives; false judicial findings that women are lying, alienating, mentally ill or emotionally abusive; the use of those findings to switch custody from a primary-caretaker mother to the father; silencing of mothers with threats of complete loss of their children and/or jail for bogus charges of “contempt”; silencing of children by sophisticated methods of psychological coercion carried out by court-appointed psychologists. NOTE: Although the deadline was today (Saturday, August 1st), if you did not get your form submitted in time, you can still send it. The UN has been asked for permission to accept a secondary submission. We will continue to collect these forms as evidence of the human rights crisis for other purposes as well, so keep them coming! You can also submit pictures of you and/or your children for a collage. 1. Click on the down arrow on the top right. This will download the document onto your computer. Or you can open in google docs. 2. Open the and enable editing. Ocaso del patriarcado = fin de violencia de género	Erradicar el machismo.